U.S. 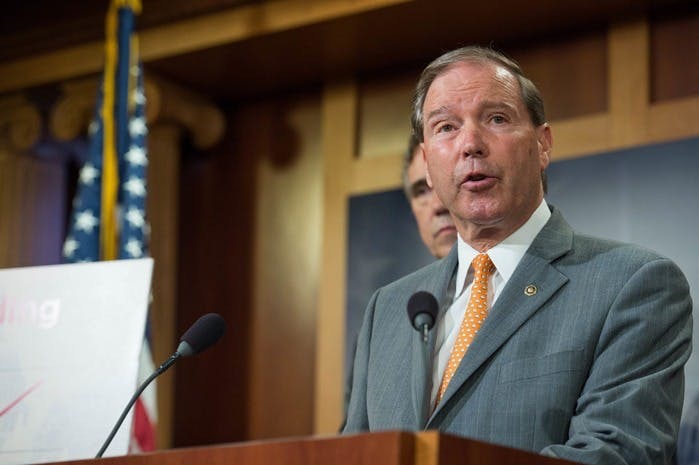 Senator Tom Udall (D-N.M.), vice chairman of the Senate Committee on Indian Affairs, addressed the National Congress of American Indians (NCAI) on February 12 at its 2019 Executive Council Winter Session. In his remarks, Udall outlined his upcoming legislative priorities for the 116th Congress, and recommitted to fighting for issues vital to Indian Country, including ensuring equal access to the ballot box for Native Americans, supporting Native-owned businesses, revitalizing Native languages, and empowering Tribes to ensure public safety. He also discussed the committee’s record of bipartisan accomplishments during the 115th Congress, including achieving Indian Country’s priorities in the 2018 Farm Bill.